The atmosphere was taking over cities when week 7 in the Barclays Premier League kicked off just before the International Break. All five of the games where underway and the stadiums where buzzing for week 7 of the BPL season. The last 10 games before another much criticised International Break. Sunderland can't help scoring in there masterclass vs the helpless Stoke who scored to level but dropped when Fletcher struck twice. Just as fans where settling in before Connor Wickham made it one nil to Sunderland, ten minutes later after a end to end encounter Charlie Adam scores for Stoke! SUN 1 - 1 STO. Fletcher for his bearings and struck a header low into the corner. SUN 2 - 1 STO. Early in the second half no one scored, but 10 minutes until full time Fletcher scored again to seal a three goals to one win. 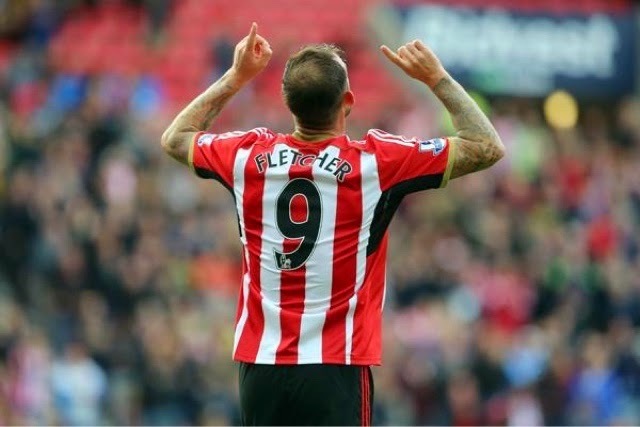 Flying Fletcher guides Sunderland through. 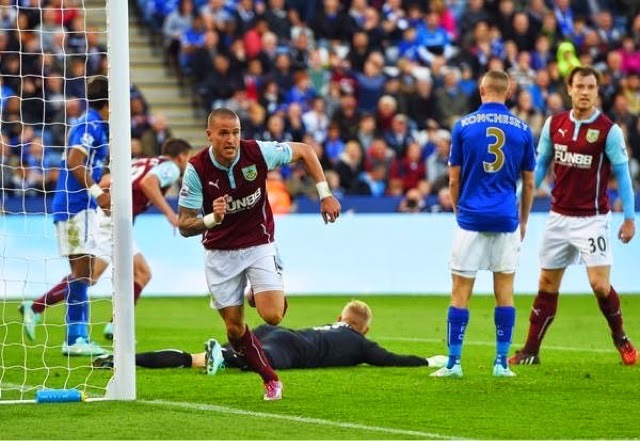 A late goal from Burnley stop The Foxes to draw in the BPL and more importantly amends Burnley's goalscoring drought. The game was ten minutes away from half time when they scored to make it 1 - 0 but at least they've done it. LEI 1 - 0 BUR. 40 minutes in just before half time Kightley scored for the Clarets but to cancel it out Mahrez scored for Leicester in the 41st minute. LEI 2 - 1 BUR. The second half got underway and in this half Burnley did not giving up to grab the much needed goal to level the scores at Leicester but wait just before the end Wallace got a goal to level the game. Extraordinary scenes at the King Power Stadium. Profound insanity with the late equaliser. Hull score two late goals to beat Crystal Palace, Diame and Jelavic score to grab 3 points for Hull. Absolutely nothing happened in this game so at half time it was HUL 0 - 0 CRY. The second half started well and finally we got a goal and Diame scored for Hull City. HUL 1 - 0 CRY. GOAL! Hull seal the win with a last gasp winner from Jelavic, Hull have all three points in the BPL. 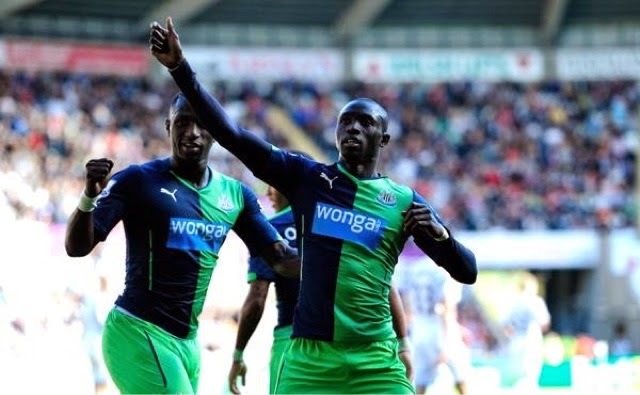 Cisse ends his goal drought by grabbing 4 goals in 2 games. The game was not going anywhere until Bony scored for Swansea inside 16 minutes at the Liberty stadium. SWA 1 - 1 NEW. 44 minutes in Papiss Cisse scored for the toon. The second half got underway and 5 minutes into the half Wayne Routledge scored, What a Goal it was! SWA 2 - 1 NEW. Newcastle look like scoring but Swansea where having the best chances, but Cisse scores for Newcastle and the game finished Swansea 2 - 2 Newcastle. 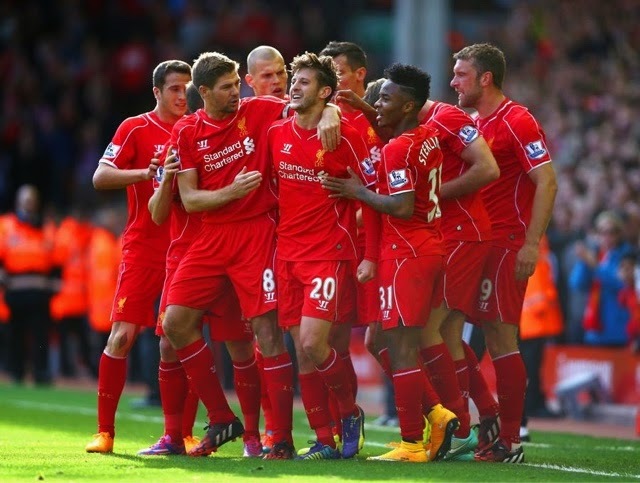 Liverpool get back to winning ways by beating West Brom in the 3pm game that impressed many of spectators. On the stroke of half time Lallana got his first goal for Liverpool at the KOP end! LIV 1 - 0 WBA. HT: LIV 1 - 0 WBA. The second half got underway and 14 minutes into the half there's a penalty at Anfield but it shouldn't be and Berahino scores the Penalty for West Brom. LIV 1 - 1 WBA. Liverpool went back in front and Henderson who scored, Sterling looked to score but he rolled it back to Henderson he shot and scored for Liverpool. LIV 2 - 1 WBA. SUB: Balotelli and Manquillo on for Lambert and Johnson. Liverpool had chances but Berahino had the best chance but couldn't convert. FT: LIV 2 - 1 WBA. So this weekend in the BPL did not lack goals and that is great fun viewers who all love to see goals and there will be plenty more with Man City vs Aston Villa tonight and then tomorrow it is Arsenal vs Chelsea, West Ham vs QPR and Everton vs Man Utd that we are reporting on for the TSM Fans. Papiss Cisse nets twice for Newcastle once again. Fletcher ends goal drought and hits two. 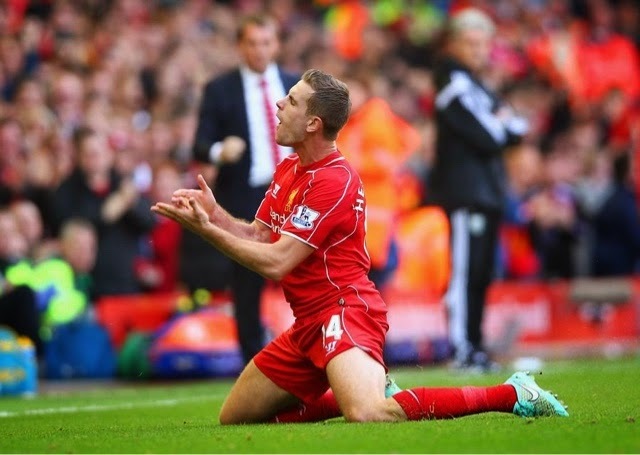 Henderson wins the game for Liverpool. Hull City can't help it, Goals weren't lacking for Hull as they win by two goals to nil. Wallace scores late to grab a poi to for Burnley against Leicester who are in good form. Comprehensive roundup for week 7 of the Barclays Premier League 3pm kickoffs.